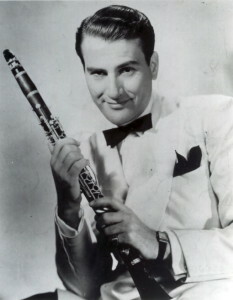 Artie Shaw passed away on December 30, 2004, at age 94. Sigmund Shonholtz, his friend in later life, spoke at the funeral, and his well-received words on that day were almost exactly as written below. My friendship with Artie Shaw began over a business transaction about eight years ago. He had answered an ad I ran to buy old watches. It started out a little awkward, though. I can still remember it clearly. Larry Rose, his secretary, called me up one day and told me that Mr. Shaw wanted to talk to me. Artie then got on the phone and barked at me about a watch he wanted to sell. He asked when I could come over and look at it and make him an offer. I told him I was too busy and that he would have to come and meet me. Well, this went on for nearly a year. It got so that I knew Larry’s voice when I answered the phone. “Artie Shaw wants to talk to you,” he would say in his polite tone. The standoff eventually ended. I was too curious. I just had to meet this man. When I got to his house, I realized I was in for an experience. The house was, to be polite, cluttered with the history of the twentieth century. To my surprise, the gruff old man on the phone was actually rather charming, and in a few minutes, we had made a deal. We ended up spending the entire afternoon together discussing the science of metallurgy and the force of springs. It was the kind of conversation you could only have with someone who truly enjoyed thinking and concepts. That was the moment I realized I was in the presence of someone unique and that I should take advantage of his knowledge. I use the word “advantage” with the utmost respect because we all have responsibilities in life, and one of our main responsibilities is to raise everybody up around us to their highest potential. Artie believed this strongly. If you were paying attention to what Artie quietly had to say, you soon realized that he was deeply interested and concerned about the human condition and making a difference. We spoke on the phone several times after that first meeting. The next time we met, it was on my turf. Artie decided that he would come and visit me. I can still remember the moment when he arrived in my antiques center. Down the hall, I heard a loud, gravelly, bellowing voice yelling out my name. “Where is Sig?” he called out. I answered, “Artie, I am over here.” He yelled back, “Here? Where is ‘here’? I thought I was here. ‘Here’ is the most subjective word in the English language. The question is, where are you?” Well, after all the yelling, we finally located each other and laughed about it. In that moment, I realized that this was a man who required precision in language. In fact, as time went on, I learned that language was his lord. You do not mince words with Artie Shaw because he has no time to waste. Say what you mean, and mean what you say. Do not try to catch Artie in a trap of terms either—like “curmudgeon.” He was not a curmudgeon if you engaged him in a meaningful conversation. Unfortunately, people wasted his time asking about his ex-wives and whether he was better then Benny. Artie considered that he had answered those silly questions enough times. Ask a foolish question of a brilliant person, and he will act like a curmudgeon. It is a variation on Murphy’s Law. Artie had great stories. During the war, he learned to play the Japanese national anthem just in case he was taken prisoner. He shared a funny story with me once about a musician in one of his bands. Artie told him that he had to stop smoking “that stuff” before each set because he was throwing off the band. The musician argued and told him, “I am on fire. I never sounded so good.” So Artie agreed that the next day, he would do the smoking and the musician would do the listening. After the set, Artie looked at him and said, “Hey, you’re right. I sound great.” The musician looked at Artie and said, “Man, you’re nuts. You stink.” The lesson: We do not define ourselves. Perhaps we are perceived. Artie and his books are legendary. He had dictionaries in dozens of languages. His tables were stacked with books on ideas and thinking and “cheating death.” His library had 10,000 books in it on every subject—the Earth, science, art, architecture, philosophy, history, warfare, astronomy, politics, mathematics, geography, languages, psychology, sociology, medicine, shooting guns, and fly fishing. Artie could speak arcane languages—not to impress you but because he knew there were secrets hidden in them. 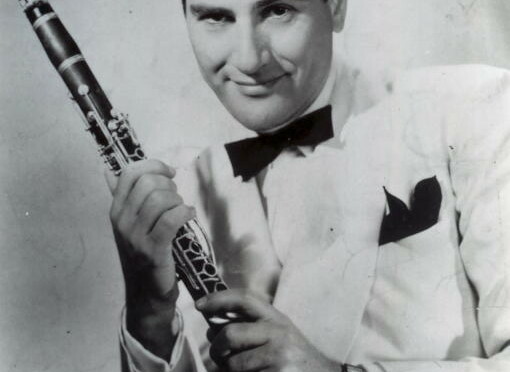 Artie Shaw was not interested in banal chatter about big bands; he was interested in the Big Bang. In fact, his mind was a big bang. But why? What was he searching for? He was looking for the holy grail of ideas, the mother of all answers, the least amount of words that could transform mankind and our planet to be a better place. He was looking for the simplest and noblest of thoughts that everyone could work with. He placed a high value on thinking and beauty. Long ago, Artie Shaw decided that there were only three questions he wanted to have answered, so he went about the task of finding the answers. These were the three questions: Are we alone in the universe? Is there life after death? Were we created by a force, or did we evolve? The only way he knew how to answer those three questions was to read hundreds of books. First, in order to absorb the information of 10,000 books and process it, you need to live a long time. Ninety-four is just about right. You also need to have a very pliant, flexible mind to be able to synthesize the information so it is usable. Artie was very capable of retrieving information from his mind and would consider everything that could be considered. It would not be uncommon for him to share an obscure idea of Teilhard de Chardin or Plutarch within two sentences. Organizing 10,000 books inside of one mind is not an easy task. He tried his best. He made a gallant effort. In fact, he has an unpublished manuscript of 1,500 pages, his own “big bang” for mankind. Not bad actually. He took the knowledge of 10,000 books, 10,000 years, and condensed it into 1,500 pages. When I get the chance, I am going to take the shortcut through the history of humanity and read his abridged edition, if and when it comes out. In conversation, Artie expanded and expounded on everything, including the Ten Commandments. He had three extra commandments. They sound like a bandleader’s ideas, but they were actually ideas for living a great life. Number 11 was “Show up,” meaning you must participate in life. Number 12 was “Get along.” If we don’t all get along, then mankind has no future. And number 13 was “Have fun!” Well, of course. Have fun! That about sums it up—the answer of all answers. He brought living and life down to just two simple words, whatever it may mean to each of us. Have fun, Artie. I hope you’re still having fun. Sigmund Shonholtz is a master watchmaker and philosopher and is from Los Angeles.